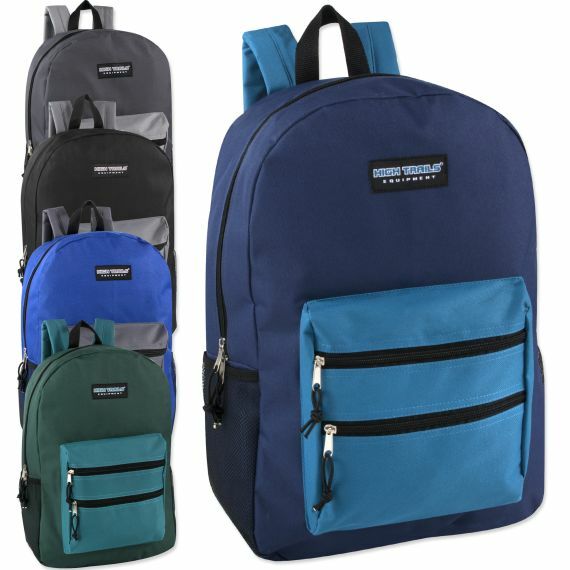 Our High Trails 19 inch backpack measures 19 x 13 x 6, providing even more space for all of your school supplies than our popular Trailmaker backpack. This year only, we have kept our prices the same but added two amazing features. We added an additional front accessory pocket and added two side mesh pockets. This backpack is perfect for middle, high schoolers & adults!